Welcome to the Unofficial Games Workshop Site. 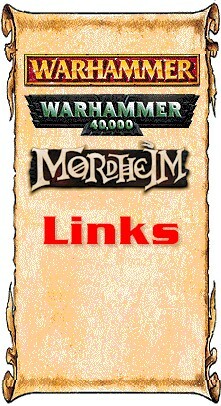 This site will show thing that you see on the Games Workshop site and other thing they won't show you. All the info that you see in this site is authentic unless stated at the beginning of the page. If there is anything that you would like to see that isn't already here, just e-mail below. The Warhammer link is the only one that works right now. The Bretonnia section is the only functional page. By October, the army section will be 50% done.